2R, T Choose a land type. 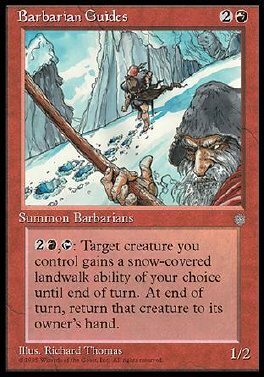 Target creature you control gains snow landwalk of the chosen type until end of turn. Return that creature to its owner's hand at end of turn.